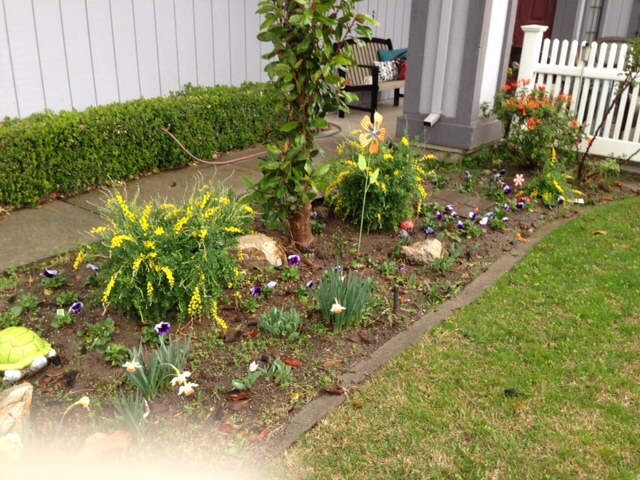 Planting flowers in the front yard makes me happy. Wait. I don’t mean the actual act of planting the flowers makes me happy. Because it does not. Not at all. This year I also finally chose the proper plants. Evergreen, flowering and drought tolerant. that I won’t have to try to fill the whole giant flower bed anymore. Just the border. Which I’m okay with. I can handle border planting, that’s where all the nice fluffy dirt is. Now, every day when I pull up the drive way, the flowers make me smile. It’s like a little glimpse of Spring. (Thanks for being there during my silly rant). What else makes me happy? Wine. Larry commented on the citrus/pear aroma being refreshing. Steve said it had a spicy finish, but he was eating spicy pasta snacks at the time Joe tasted peach; he said it was very light and not too strong. On line review: The fruit character of this wine speaks of citrus with riper, tropical notes as well. In the mouth, the acidity has a softer profile than many Sauvignon and the fruit is freshly expressed. She’s not shy in the least, an intensely flavored and layered Sauvignon Blanc that delivers tons of citrus and passion fruit with hints of tarragon and white pepper. 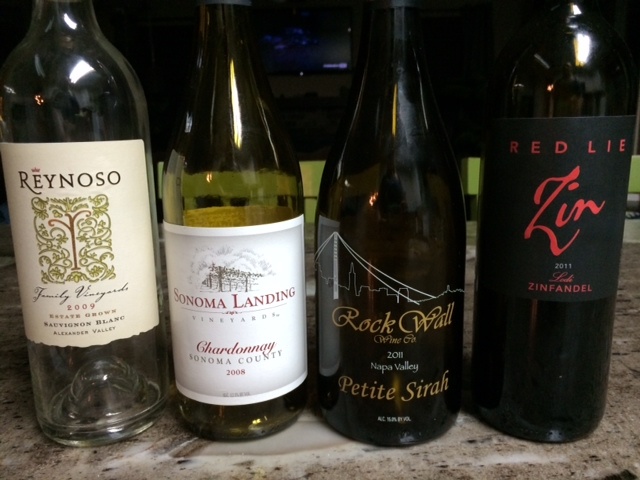 Not quite as crisp or dry as some of her Sauv counterparts she’s still refreshing and pairs best with seafood. Next time you have sushi skip the sake and go Sauv instead. Terry started us off on the Chardonnay, she thought it tasted clean and clear. Steve noticed a hint of apple. He said it was a cheerful wine. Becky really liked it especially the little twang at the end. On line review: It was on sale for $8.70 (Regular Price: $12.99). Smooth, dry and fresh – loved it! Not agree with 88 pts. Five out of Five stars. 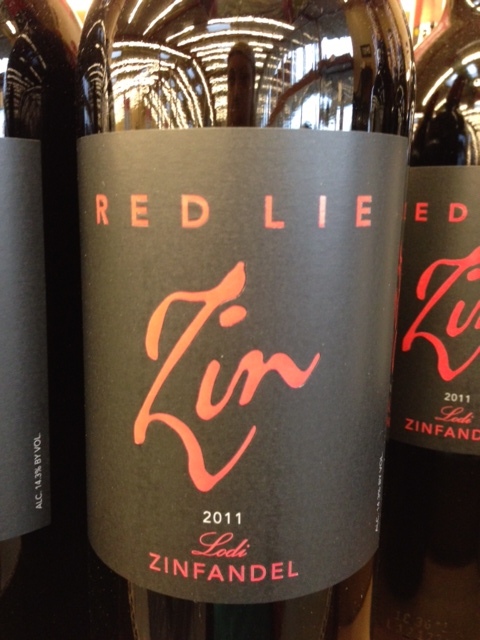 Winemakers notes: 88 PTS WILFRED WONG. 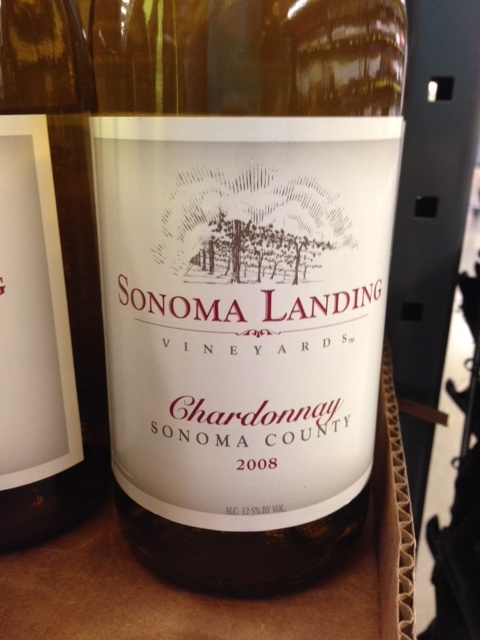 Impressive and delicious, the juicy ’08 Sonoma Landing is a beautiful wine; fresh with finely ripened, core fruit flavors; dry yet easy in the finish. By far the winner of the night! Becky liked the fancy bottle and after tasting it said, ‘Wow, that’s good!’ She also noted that it was fruity and would go with anything. Joe said ‘Legs’O’Plenty’. Steve commented that he really liked this one and Larry & Terry agreed, saying it was very berry and really good. We all had seconds and we finished the bottle. 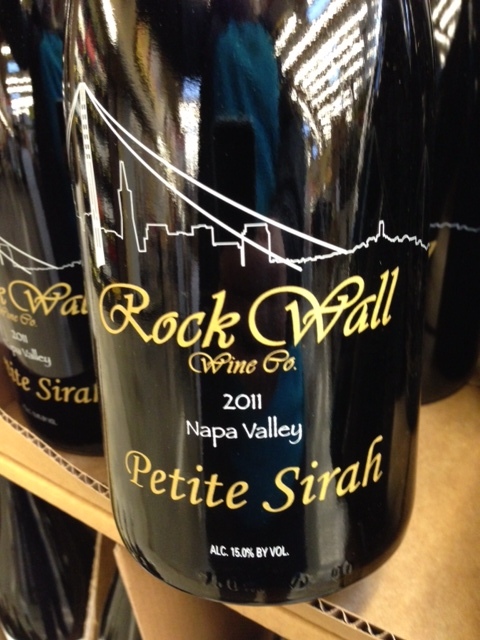 From the Winemaker: Deep India ink in color, this beautiful Petite Sirah shows robust aromas of juicy ripe blackberry, fig, and pink cotton candy, followed by flavors of bright blueberry, Cajun spice, plum jam, white pepper and dark chocolate. Cheers to blue teeth!